This week we discussed four great papers from the Leopold, Halme, Gontijo (@alisson_gontijo) and Dominguez labs. They all described how Lgr3 is the receptor for dILP8, a factor secreted from damaged organs to limit ecdysone release and slow organismal development and growth. While each paper made the same discovery, they did differ in experimental approaches and in some of their findings (which is not a bad thing). All four were great papers – hopefully they receive the similar wide recognition that they each deserve. Garelli A, Heredia F, Casimiro AP, Macedo A, Nunes C, Garcez M, Dias AR, Volonte YA, Uhlmann T, Caparros E, Koyama T, Gontijo AM. Dilp8 requires the neuronal relaxin receptor Lgr3 to couple growth to developmental timing. Nat Commun. 2015 Oct 29;6:8732. Colombani J, Andersen DS, Boulan L, Boone E, Romero N, Virolle V, Texada M, Léopold P. Drosophila Lgr3 Couples Organ Growth with Maturation and Ensures Developmental Stability. Curr Biol. 2015 Oct 19;25(20):2723-9. We’ve fallen behind a bit (a lot!) on posting our regular lab journal clubs. So here are some of the papers we’ve discussed over the last year or so. 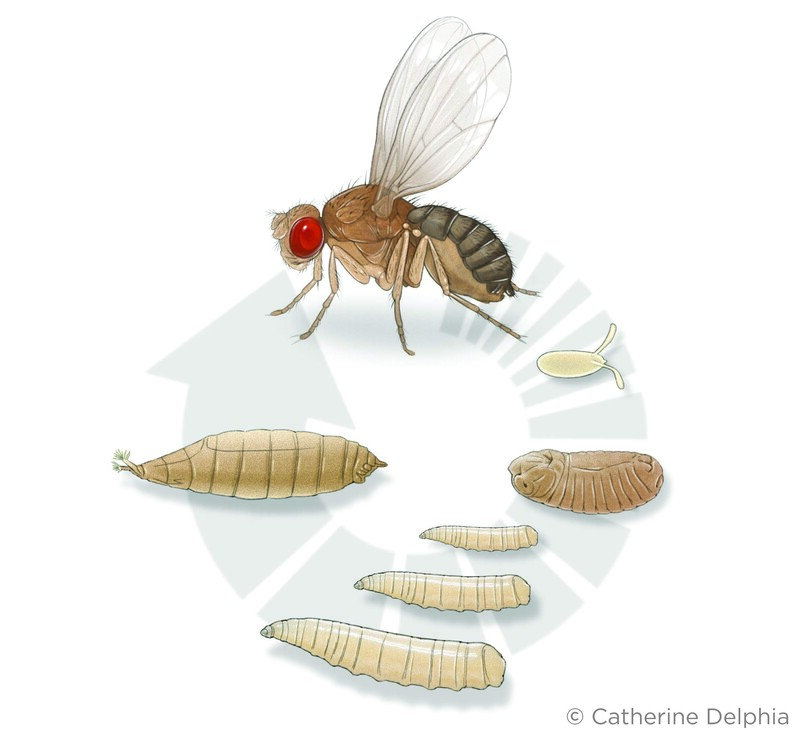 What we liked about all these papers is that they each highlight the power and versatility of Drosophila genetics to answer important questions about physiology, metabolism and growth. Sano H, Nakamura A, Texada MJ, Truman JW, Ishimoto H, Kamikouchi A, Nibu Y, Kume K, Ida T, Kojima M. The Nutrient-Responsive Hormone CCHamide-2 Controls Growth by Regulating Insulin-like Peptides in the Brain of Drosophila melanogaster. PLoS Genet. 2015 May 28;11(5):e1005209. Rodenfels J, Lavrynenko O, Ayciriex S, Sampaio JL, Carvalho M, Shevchenko A, Eaton S. Production of systemically circulating Hedgehog by the intestine couples nutrition to growth and development. Genes Dev. 2014 Dec 1;28(23):2636-51. 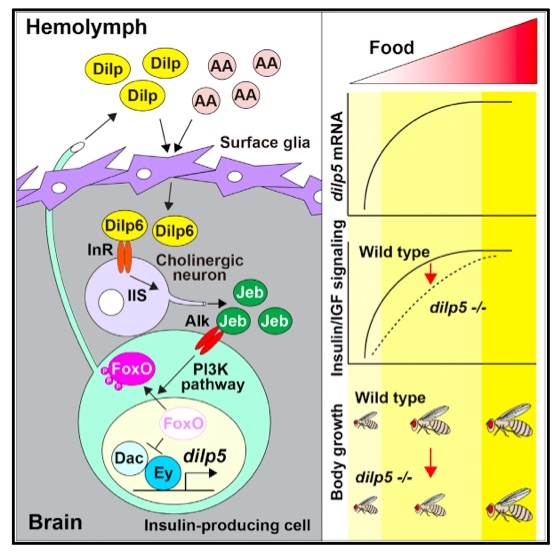 Brankatschk M, Dunst S, Nemetschke L, Eaton S. Delivery of circulating lipoproteins to specific neurons in the Drosophila brain regulates systemic insulin signaling. Elife. 2014 Oct 2;3. Tiebe M, Lutz M, De La Garza A, Buechling T, Boutros M, Teleman AA. REPTOR and REPTOR-BP Regulate Organismal Metabolism and Transcription Downstream of TORC1. Dev Cell. 2015 May 4;33(3):272-84. Kim J, Neufeld TP. Dietary sugar promotes systemic TOR activation in Drosophila through AKH-dependent selective secretion of Dilp3. Nat Commun. 2015 Apr 17;6:6846. Hasygar K, Hietakangas V. p53- and ERK7-dependent ribosome surveillance response regulates Drosophila insulin-like peptide secretion. PLoS Genet. 2014 Nov 13;10(11):e1004764. Sun X, Wheeler CT, Yolitz J, Laslo M, Alberico T, Sun Y, Song Q, Zou S. A mitochondrial ATP synthase subunit interacts with TOR signaling to modulate protein homeostasis and lifespan in Drosophila. Cell Rep. 2014 Sep 25;8(6):1781-92. Ulgherait M, Rana A, Rera M, Graniel J, Walker DW. AMPK modulates tissue and organismal aging in a non-cell-autonomous manner. Cell Rep. 2014 Sep 25;8(6):1767-80. Park S, Alfa RW, Topper SM, Kim GE, Kockel L, Kim SK. A genetic strategy to measure circulating Drosophila insulin reveals genes regulating insulin production and secretion. PLoS Genet. 2014 Aug 7;10(8):e1004555.